But what about when the original Unicorn inevitably comes back from the dead and sues for copyright infringement? ...Or tries to kill you? THERE CAN'T BE TWO RUSSIAN UNICORNS, ALEKSEI! I really, really love the bottom of the page commentary in this book. But what I really love is the weird little happy continuity pocket this book exists in, where Doreen defeats most of her foes with the power of friendship and understanding. I just wonder if this will have any effect upon the Rhino in the greater Marvel Universe, as currently seen in Clone Conspiracy. 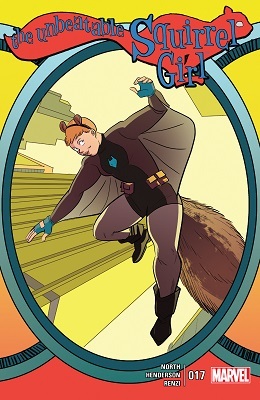 Just assume that any other comic that doesn't match up with Unbeatable Squirrel Girl is wrong. Super, super wrong. 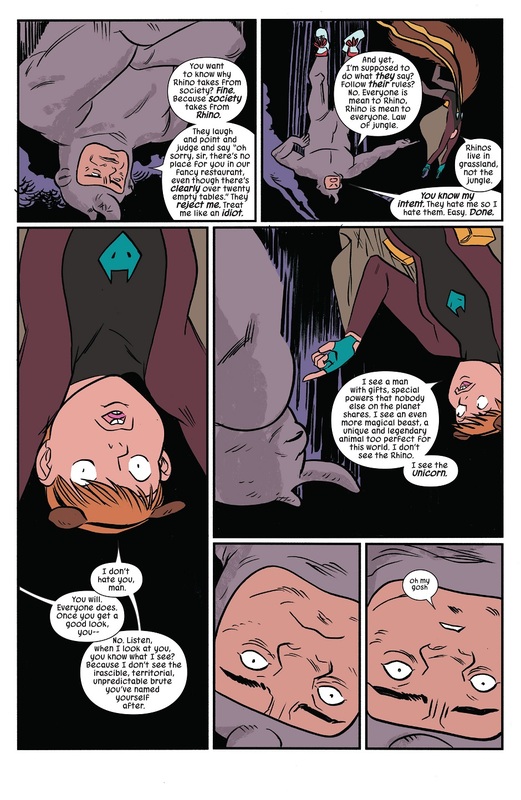 Also hey, maybe Galactus' trip to the nut planet was crucial to his transformation into the Lifebringer. 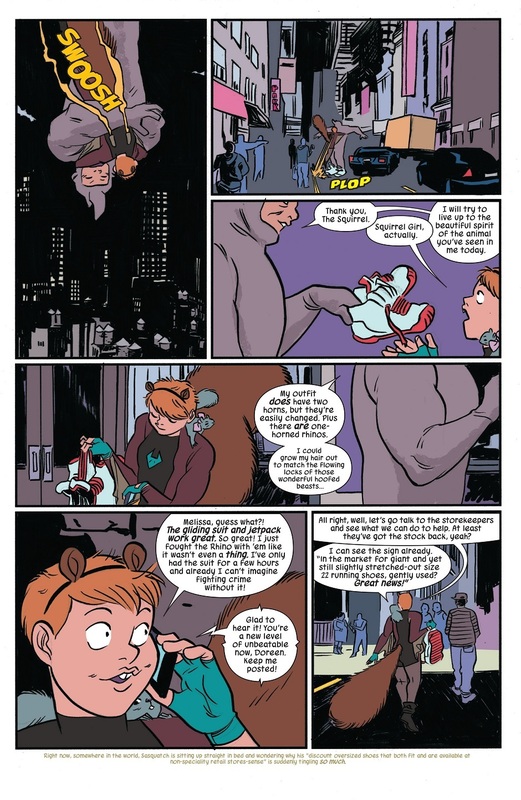 Bottom of page caption: Unbeatable Squirrel Girl is now the definitive guide to the Marvel universe! Anything that contradicts it is wrong and definitely not my fault! I think it basically counts when they want it to. 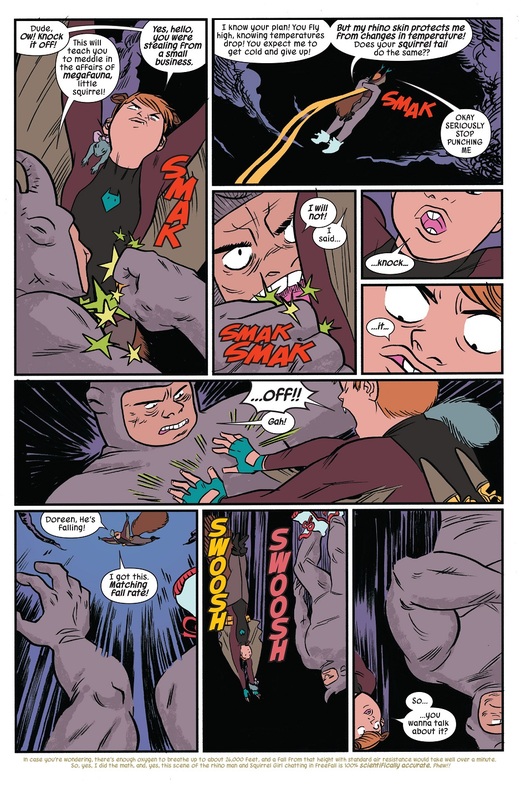 See also: Nextwave. Which had no place in continuity whatsoever, and yet Marvel insisted on trying to make it fit. I think Ewing did a pretty good job of making it work. Certain things, sure. But there's other things that flagrantly don't fit. Like Monica's flashback to being told to go make Captain America's dinner. 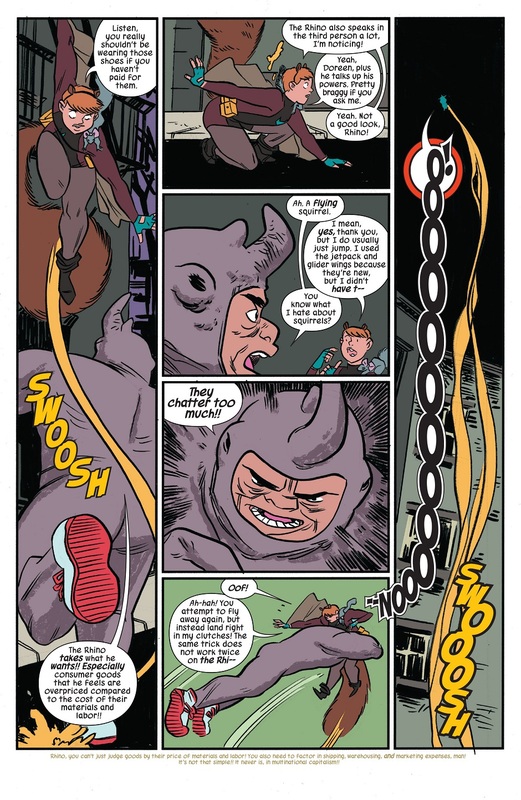 I hope we get to see the Rhinunicorn at some point.